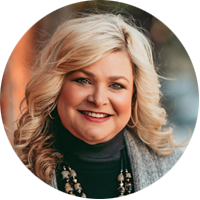 Heather graduated from the University of Nebraska with a Bachelor’s Degree in Human Resources and Family Sciences with emphasis in Interior Design. She has been practicing in the Interior Design field for 17 years and has extensive design experience in residential design, healthcare, corporate and educational environments. Her specialties include programming, space planning, design and specification of furniture, finishes, and assessing program requirements to fulfill both aesthetic and functional needs. She is a professional member of ASID and has her NCIDQ certification. Heather has an eye for detail and a passion to create a “one of a kind space” for her clients. She loves to bring that “wow factor” into a room and make a space feel comfortable and inviting. Understanding a client’s needs and giving them a personalized space that they love walking into time and time again is very important to her. When the opportunity knocked Heather expanded her career at D3interiors and utilized her job experience by becoming the Office Manager. She loves design along with the challenges of keeping the office in order and all the behind the scenes action! There is never a dull moment in the design world and when she is not busy creating beautiful spaces & managing the office she enjoys her time with her husband Steve and two wonderful children Shelbe & Austin.